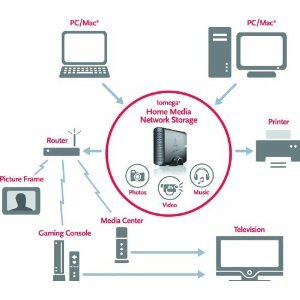 The most interesting feature of this NAS device is that it can act as a UPnP AV Media Server which is Compatible with DLNA certified media players allowing you to stream photos, audio and videos between all your computers and to a variety of media devices like game consoles (ps3, xbox 360, wii etc), audio bridges, DMA’s, picture frames etc. It comes with user friendly web screens for easy management, built in high performance Gigabit Ethernet connectivity combined with a powerful processor. This NAS device is fully capable of being used as your iTunes Server allowing you to store your audio content in one central location and share it across your iTunes players. Simple 1-click sharing automatically posts files to your Facebook, YouTube and Flickr accounts. Create photo slideshow instantly for online sharing with friends by simply dropping files into an Active Folder. Remote access allows you to access your NAS Server files securely from anywhere in the world via the internet. Torrent downloading support allows you to do peer-to-peer (p2p) BitTorrent file sharing. Permission based access can also be set to share your printer and control which family members have access to certain folders. It is expandable and thus easy to add extra storage capacity to it by connecting external USB hard disk drives once the NAS runs low in disk space (supports FAT32 and NTFS formatted hard drives). While it’s not common, we’ve heard other readers complaining about noisy fan and in some extreme cases, overheated hard drives and loss of data. Although it’s hard to tell why this happened, we do think that this has to do with how and where users setup their devices. As a general rule of thumb, always keep your working environment tidy and clean the hardware’s fan so that your device don’t collect dust and overheat. If something really bad happens, there’s at least a 3 year limited warranty from Iomega to keep you on the safe side. 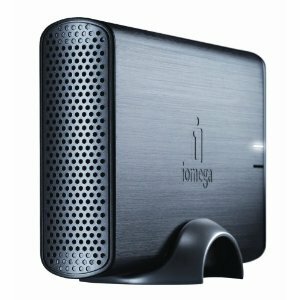 Iomega Home Media NAS are sold with storage size of 1TB or 2TB. Overall, the Iomega Home Media NAS series is a solid product and we do think that it serves it purpose as a great home NAS device. Our favorite place to buy NAS devices is Amazon as they invariably have the best prices. We’ve found that Amazon has the Iomega Home Media 1 TB NAS priced just around $USD100 while also providing free shipping at the same time. Now that’s good value for money! If you fancy larger disk storage, A 2TB version of this same NAS is also available at Amazon for well under $200.